Safety reporting is one of the largest hidden costs in the clinical trials industry, costing biopharmaceutical companies $4 billion per year. It’s a time-consuming, resource-intensive process that for many companies is still predominantly manual. Sites can spend hours each week tracking, reading, reconciling and archiving safety reports, activities that significantly increase monitoring costs and take time away from patients. Sites receive an overwhelming amount of information from sponsors and often treat all safety reports the same, which means that they could be missing some important information. Safety reporting is also a complex process; sponsors may need to follow hundreds of different country-specific rules. It is difficult to conduct this global process correctly and the consequences of making mistakes are severe, including potential risks to patient health and serious regulatory repercussions. About seven years ago, Roche decided to upgrade its safety document distribution (SDD) service to address some of these issues, decrease clinical trial site burden, and reduce costs. Roche researched several electronic solutions and chose WCG’s Clinical Trials Safety Portal (CTSP). Roche launched CTSP 1.0 in August 2011. CTSP 1.0 introduced compound-level distribution as a partial solution for the over-distribution of safety reports, but did not address the problem of disharmonized country rules. WCG completed version 2 of Roche’s CTSP installation in March 2017, the culmination of an 18-month development partnership. By November 2017, Roche CTSP 2.0 was supporting approximately 300 compounds and 3,000 studies in 107 countries. CTSP 2.0 has successfully sent more than 80 million safety alert transmissions and has more than 70,000 users at more than 22,000 sites worldwide. The system handles 46.9 safety report requests every minute! The lack of global harmonization in reporting rules was, and still is, an issue. There is no single global rule with which all countries need to comply. The information required, and documents considered important, varies by country. Institutional review boards (IRBs) and investigators also have different needs. Roche discovered that over-distribution of safety reports was a common problem for its sites. Roche needed to determine how best to apply reporting rules consistently around the world and keep everyone informed about potential safety issues in a concise, efficient manner. Its goal was to ensure that its sites and investigators had all the relevant safety data, while eliminating duplicate reports and unnecessary forms. Roche also needed to manage global oversight of this process so that its staff could easily provide evidence of compliance when required. Applying a Six Sigma management methodology to its SDD process, Roche determined how safety documents were created and processed. Then it defined and measured the problem. It reviewed feedback gathered over several years and looked for pain points and their root causes. Roche engaged all relevant stakeholders to define global standards, determine what documents should be made available to the sites and IRBs, and identify who was responsible for making that happen. It then established country-alerting rules. Roche employed WCG’s CTSP workflow engine to simplify and streamline its SDD process. 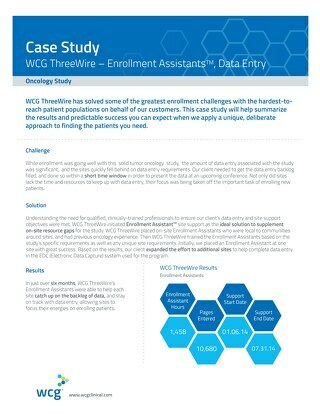 WCG automated Roche’s entire safety reporting process providing a user interface to the CTSP workflow engine that was simple enough for business users without an IT background to configure by using picklists for each country-alerting rule. Roche defined the global laws that it needed to follow and worked with investigators to determine how to get that information to key stakeholders efficiently. Then it included site feedback, factoring in what information its affiliates had been asking for and what appeared to be missing. For example, some countries wanted only domestic reports and others wanted aggregate reports to follow the local law. Roche also identified key contacts within each country to monitor updates to the local laws. As part of its SDD training program, Roche encourages employees to consult with key clinical trial stakeholders and engage with their local health authorities to learn about upcoming regulatory changes. 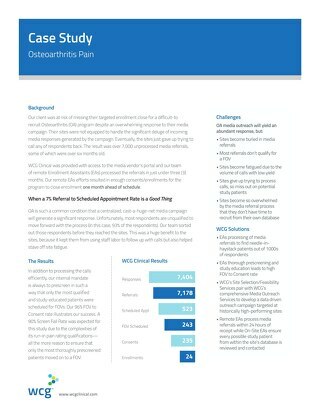 Roche also restructured its safety reports, providing the most important information in an executive summary up front, and simplifying the documents overall. Site staff received all the information they required in the original notification, so they did not need to go to the portal to check the full SUSAR unless they needed additional information, further reducing site burden. Roche implemented a unified global process and created a single, robust, end-to-end CTSP 2.0 system with defined metrics. 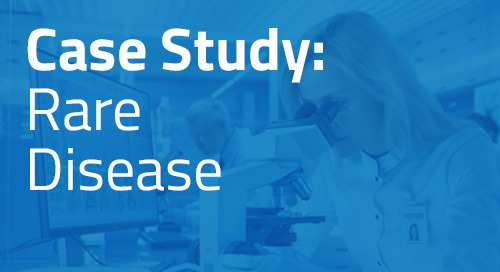 It ensured that all Roche sites were registered and connected to the system, achieving its 100% compliance goal. 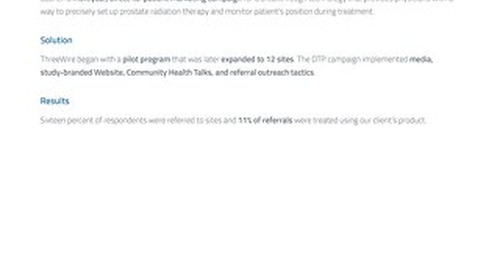 Roche achieved its target of training 100% of sites, too. The company has also been very successful in improving its data dissemination. It now has a failure rate of less than 1% for its safety document transmissions. Roche has significantly reduced over-distribution – there has been a 65% reduction in safety alerts transmitted compared with its previous process. Furthermore, it has reduced its U.S. safety alerts by 47% since March because it is now distributing only the information that the local investigators want. This equates to a reduction of one million safety alerts per month since CTSP 2.0 automated country-alerting rules. Roche is examining ways in which its CTSP system can accommodate more complex clinical trials for medicinal products used in multiple countries, and trials that enter studies at different levels. 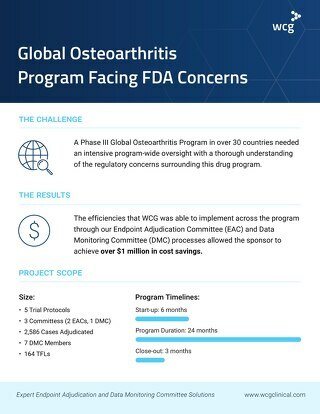 By employing WCG CTSP 2.0, Roche reduced its SDD costs by $69-80 million in 2017. It also better deployed resources, and reduced administrative burden on its sites and study teams, while complying with global and local safety reporting regulations. It’s an efficient approach, which improves the effectiveness of SDD, and gives sites and investigators more time to spend with their patients. An expert in the field of safety reporting technology, Mr. Beales has 25 years of experience in IT, and has spent over 16 years in the pharmaceutical industry. He joined WCG ePharmaSolutions in 2009 and led implementation of the company’s Clinical Trial Portal at Genentech across 100+ countries. 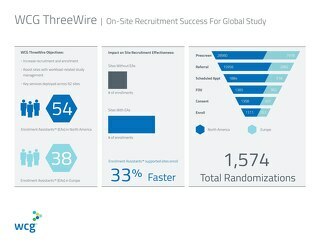 In 2015, he led implementation of the Clinical Trial Safety Portal at a top 5 pharma organization, which included a data-driven rules engine configured with safety regulations from those countries, which saved this organization hundreds of millions of dollars. Over 50 million safety alerts have been distributed by these two portals via the cloud. Prior to joining WCG ePharmaSolutions, Mr. Beales was the Chief Software Architect at mdlogix, where he led the implementation of the CTMS systems for Johns Hopkins University, Washington University at St. Louis, the University of Pittsburgh, and the Interactive Autism Network for Autism Speaks.